The Nicotiana benthamiana codon-optimized BxBI gene was domesticated and standardized as a GoldenBraid part and cloned into the pUPD2 entry vector. The BxbI integrase gene was then assembled in a multipartite reaction with the strong promoter from the Cauliflower Mosaic Virus (P35S), and its terminator (T35S). In order to see the activity of the integrase, Valencia_UPV 2015 designed a reporter element (BBa_K1742006) that consists of a Cauliflower Mosaic Virus terminator (T35S) flanked with the recognition sites (attB:T35S:attP:omegaUTR) of BxbI. The CDS was subsequently assembled in a multipartite reaction with the P35S promoter with no ATG, the GFP coding sequence and the T35S terminator. With a binary GoldenBraid assembly step we obtained a multigenic construct (BBa_K1742009) of the previously described transcriptional units. 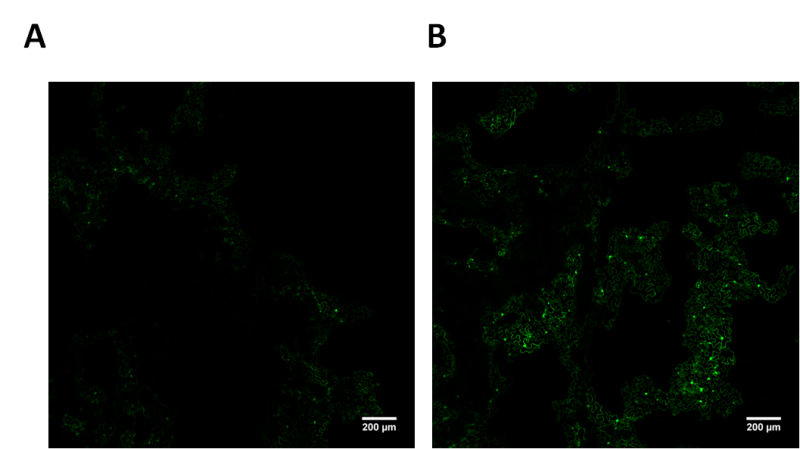 This construct was then transformed, by agroinfiltration, into N. benthamiana plants for testing the expression of GFP. 2. Ghosh, P., Pannunzio, NR., Hatfull, GF., and Gottesman, M. (2005). 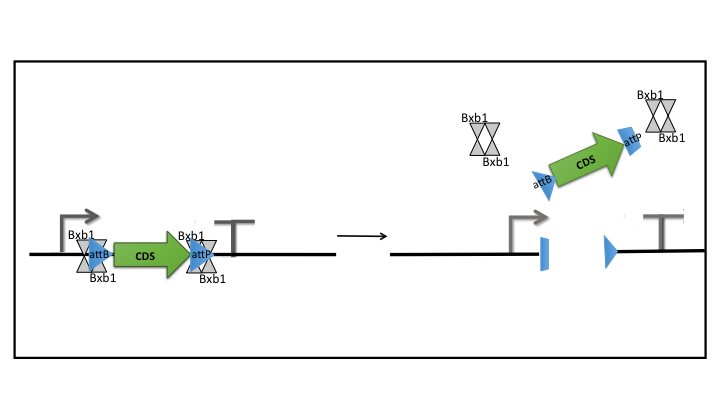 Synapsis in phage Bxb1 integration: Selection mechanism for the correct pair of recombination sites. Journal of Molecular Biology, 349(2), 331–348.